A collaboration between the Monte San Martino Trust and three branches of Italy’s highly respected Historical Institute is now in full swing. In return for holding a course of studies on the Allied Presence in Italy, 1943-45, and the role of civilians during the war, a total of four MSMT study bursaries are granted annually to the participating branches of the Historical Institute in the region of Emilia-Romagna. The Institute – known in Italian as the Istituto per la Storia della Resistenza e l’eta` contemporanea – can award the four bursaries at its own discretion to pupils following the course. In all other ways, the bursaries are identical to those granted to general applicants – namely a four-week study course at the language schools used by the Trust in London and Oxford, for Italians aged 18 to 25. The project is entitled Road Map of Freedom. Follow this link to watch a video. The three participating branches are Forlì-Cesena, Modena and Bologna, which lie at the heart of the traditionally anti-Fascist region of Emilia-Romagna. They have been granted funds by the Region, which recently passed a law to promote the teaching of human rights and peace studies in the light of remembrance of events during the Second World War. The collaboration was suggested initially by Rossella Ruggeri, of Modena, a former teacher who is a strong supporter of MSMT and a member of its working group entrusted with raising the Trust’s profile within Italy. The programme took shape after a visit in 2016 to the Modena Institute by John Simkins and Letitia Blake, respectively Administrator and Secretary of MSMT. 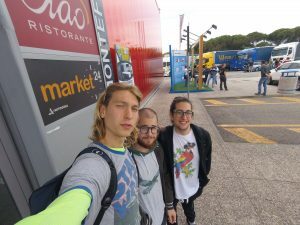 During summer 2017, as a pilot project, three young men nominated by the Institute branches came to the UK on bursaries: Gregorio Marchesini, Salvatore Caterino and Giacomo Cavalieri were excellent standard-bearers of the scheme, both in the UK and earlier while participating in the Tenna Valley Freedom Trail. The bursary holders in 2018 come from among pupils following a programme of workshops and a site visit organised by the branches during 2017/2018. 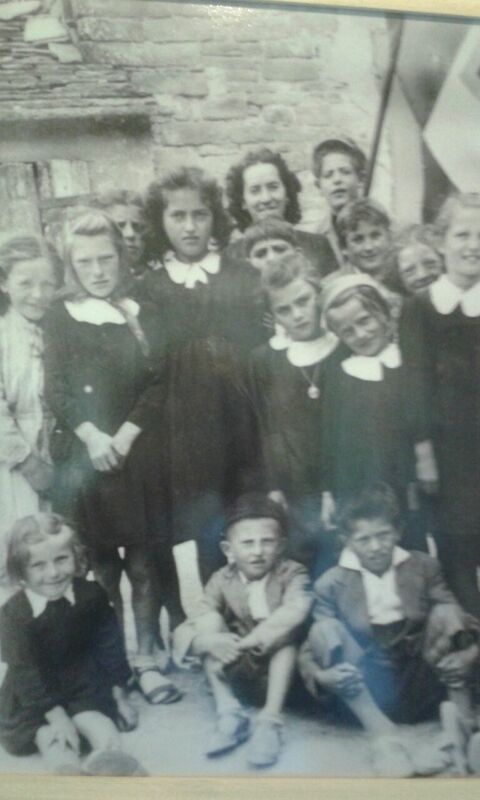 The visit was to Tavolicci, in the province of Forlì, which was on the Gothic Line defended by German troops and was the site of a massacre on July 22nd 1944 by Germans and Italian Fascists aiming to clear the area of support for the partisans. About 75 people were killed, among them many children including a whole class from the local elementary school, whose photograph had recently been taken. 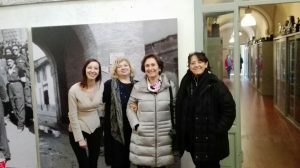 Under the guidance of Vladimiro Flamigni, of the Cesena-Forlì Institute, the party also visited the Casa dell’Eccidio di Tavolicci, which houses a small but evocative “Museo della civiltà Contadina” providing an insight into what the daily life of the contadini (subsistence farmers) was like in remote areas such as this. 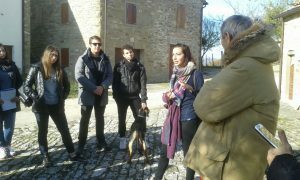 The next stage of the programme, at Bologna on December 14th, involved a workshop on the Gothic Line, the massacres, prisoner of war camps and escape lines. Students assembled material for publication in January/February 2018 and the bursaries were allocated. The Trust is extremely grateful to Elena Paoletti, of Forlì Cesena, Lorena Mussini of Bologna, and Giulia Ricci, of Modena, for their hard work in setting up the Road Map of Freedom.